The real estate developers behind Caribbean, a 103-unit condo complex located at 3737 Collins Ave. in Miami Beach, have obtained $124.7 million in construction funding and are breaking ground this month. The lender is Chicago-based Corus Bank which has funded many condo developments in South Florida. The bank’s familiarity with the Miami market and this project’s high level of pre construction sales, have empowered the bank to make a loan of this size without any participants. While some lenders are avoiding the Miami market, Corus Bank is looking for more loan opportunities similar to this one, with significant pre-sales and large earnest money deposits. “75 of the 103 units are pre-sold, “including three of the four penthouses.” Caribbean consists of a complete renovation of the six-story Art Deco-style Caribbean Hotel, which was built in 1941, into 35 residential units, and construction of an adjacent 19-story south tower containing 68 units. The developers acquired the 1.7-acre oceanfront hotel for $37.8 million. They estimate construction costs for renovation of the hotel and construction of the new tower at $45 million, and anticipate a $200-million sellout. Units in the renovated hotel range from 704 to 1,748 square feet, while those in the new tower are from 1,434 to 3,910 square feet. Pricing begins at $1 million a unit and reaches to $8 million for penthouses, each of which has a private pool. The developer expects to deliver the project in 24 months. 1 Responses to "Some Lenders Fear Miami Condos, But Not Corus Bank"
A few condo developments have it worse than others in Miami. The Daily Business Review article revealed that sellers in condo buildings riddled with foreclosures find that it is nearly impossible for potential buyers to obtain financing. 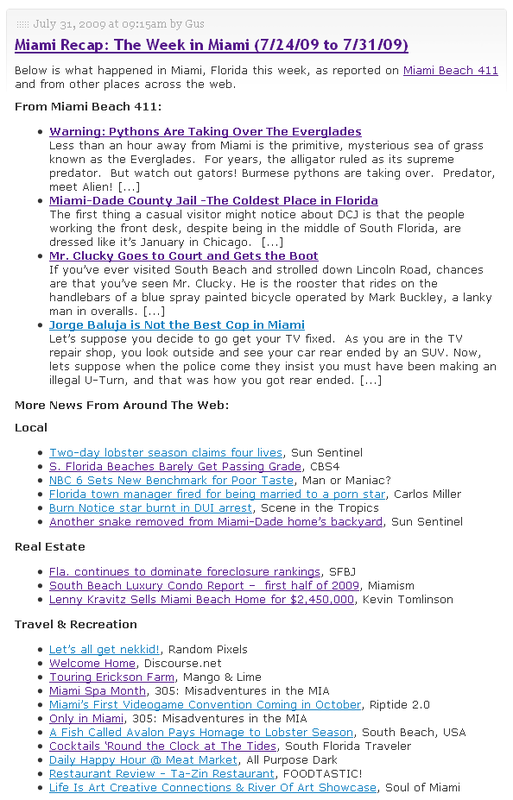 The article uses Vue at Brickell to illustrate the point and states that “the project is widely avoided in the lending industry”. The same holds true for other condo developments in Miami that have experienced a high number of foreclosures. The doors are now closed! Well, unless, of course, you are paying in full with the almighty greenback.BankUnited seems to have blacklisted the entire Miami condo market with over 160 condo developments on its list that are located in Miami. I’m not even exaggerating. I went through the list and tried to find one well known condo building in Miami that wasn’t on the list. The list included everything from condo developments built in the 1980s to condo buildings that haven’t even broken ground yet, and some that probably never will. The only building that I could think of that isn’t on the list is Grovenor House. Anybody else find one? Here is the BankUnited blacklist.